A woman awakens amidst carnage, with no memory of what has happened or who she is. Elsewhere, in her father's inn Sara remembers her lost mother as she helps to prepare for the fall harvest, despite the fact that the harvest was bad and winter seems to have came upon the land early. This is yet another book from Luna publishers, and I continue to be pleased. All the books I have read have been good, several of them great, and not one has yet been a disappointment. This is an interesting fantasy, and creating a main character with amnesia made the job of explaining the new world easier, as it wasn't strange or odd to have the world explained to someone who remembered nothing about it. Rachel Lee's writing is interesting and slightly unusual. Although I had a good sense of each of the characters, several times I realized that I was completely mistake in how I thought a character looked. Not that this is unusual for me. (After all, I didn't realize that Shadow in Neil Gaiman's American Gods was black until halfway through the second time I read the book.) But still, it is still an odd feeling to realize that your idea of a character is so far off from what the author created. However, I didn't find this to be a flaw at all. As much as I may enjoy the lush detail in books by Sean Russell and Guy Gavriel Kay, I also enjoy crisp storytelling that allows a story to be told in a single book instead of a trilogy (or longer). 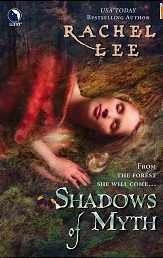 So I quite liked this book, and definitely recommend it to anyone who loves fantasy with strong female lead characters.